Stormzy has joined the cast of the new BBC1 drama Noughts + Crosses, an adaptation by Mammoth Screen of Malorie Blackman's young adult series (published by Penguin), which is currently being filmed in South Africa. 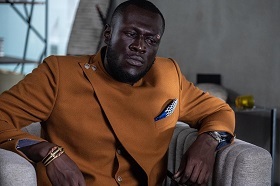 Stormzy will play newspaper editor Kolawale, a character created for the TV series. 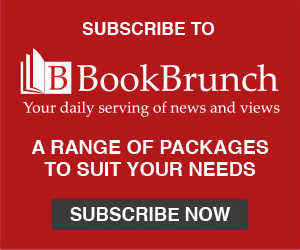 Noughts + Crosses is a story of first love 'in a dangerous, alternate world where racism divides society.' BAFTA Cymru winner Jack Rowan (Peaky Blinders, Born to Kill) will play Callum McGregor and newcomer Masali Baduza has been cast as Sephy Hadley. Other cast include Helen Baxendale, Paterson Joseph and Ian Hart. Stormzy said: "As a diehard fan of Malorie's novels, being a part of this important show is a dream come true." Blackman said: "The first time I met Stormzy he informed me he was a huge fan of my Noughts and Crosses series of books. I'm thrilled he will now be a part of the Noughts + Crosses TV production. It's so exciting!" Preethi Mavahalli, executive producer, said: "As an icon of black British culture, we are honoured to have Stormzy play a part in this adaptation of a novel he's such a fan of."